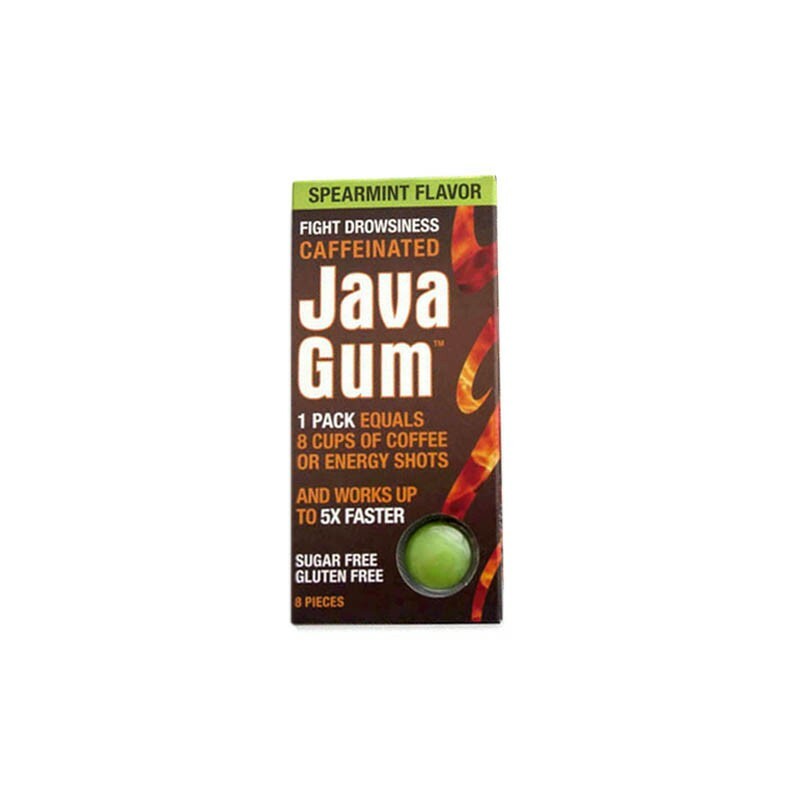 Great tasting Spearmint Java Gum has 65 mg of caffeine per piece, equivalent to a 10 oz cup of coffee. 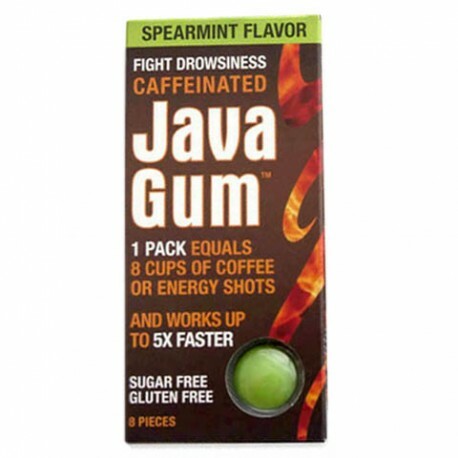 Java Gum... tastes like Java? No. Looks like Java? No. Smells like Java? No. Hits you with 65 mg of caffeine 5x faster than a cup of Java? Yep! Each pack of Java Gum contains 8 pieces. Each piece of gum has 65 mg of caffeine... equivalent to a 10 ounce cup of coffee or an average energy shot. The gum is also sugar free and gluten free, but no it's not free free so you're still going to have to pay for this package of awesomeness.